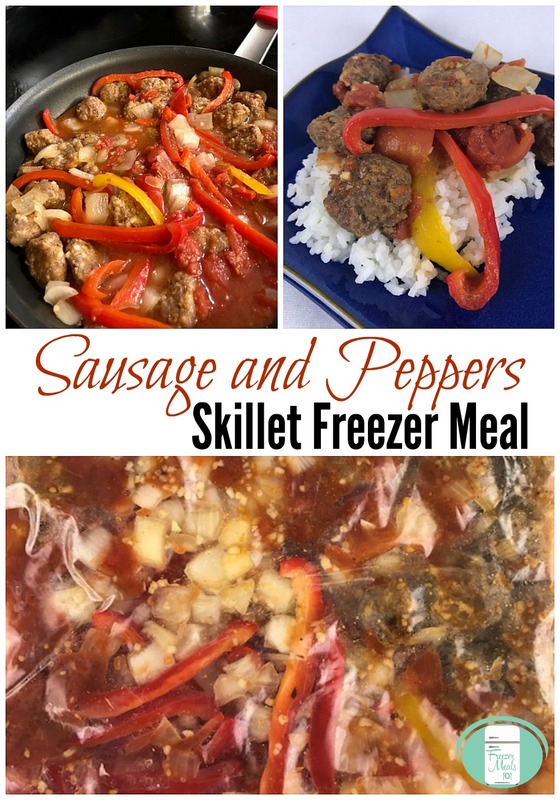 This sausage and peppers freezer meal recipe came about the same way some of our others have. We invented it using what we had left at the end of our freezer meal assembly day. We took some extra vegetables that were already prepped, onions and peppers and combined it with some other ingredients we had on hand. I had accidentally bought too much sausage because of a miscalculation on my part so we actually invented three different recipes using sausage and what we had left of other ingredients. Sometimes the best freezer meal recipes come about that way! This recipe can either be served over rice or rolled in a flour or corn tortilla and eaten as a wrap. You can use mild or spicy sausage depending on your family’s preference. Remove the sausage from the casing and slice. I prefer to actually squeeze out sausage meatballs and flatten them a bit with my fingers to slicing. It is a messier method, but it is easier to remove the casing this way. Fry the sausage slices in a frying pan over medium-high heat until lightly browned on both sides. Alternately, you can place the raw sausage “meatballs” in a single layer on a cookie sheet and bake in the oven. Blot the cooked sausage slices on a paper towel to remove some of the grease. To assemble this meal, place the cooked sausage pieces in a large resealable freezer bag. Add the sliced peppers, onion, minced garlic, cajun seasoning, and the can of diced tomatoes. Remove the excess air from the bag, seal and freeze. On the day of cooking, thaw the sausage and peppers freezer meal. Cook in a skillet over medium-high heat until heated through. Serve over rice or in a wrap. 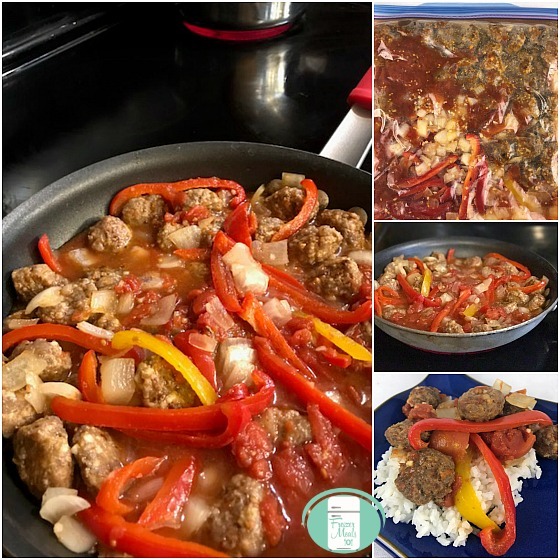 This recipe is gluten free and keto friendly if served on cauliflower rice. You can even make cauliflower rice ahead and freeze. Can you freeze cooked Italian sausage? You can absolutely freeze Italian sausage. If you freeze raw Italian sausage, it has a tendency to get freezer burnt quite quickly even if it is packaged well. By cooking the sausage first, it will keep much longer in the freezer. To freeze ground Italian sausage, brown it first in a skillet. Be sure to drain it to remove the extra grease. Measure out 1 or 2 cup portions into medium sized resealable freezer bags or add the cooked ground sausage to freezer meal recipes and freeze. Make meatballs out of Italian sausage by squeezing chunks out of the casing and laying them in a single layer on a baking sheet. Cook at 350° until the outside is brown and they are no longer pink inside. Blot the excess grease before adding them to a resealable freezer bag or into a freezer meal recipe and freeze. Remove the sausage from the casing and slice. I prefer to actually squeeze out sausage meatballs and flatten them a bit with my fingers to slicing. It is a messier method, but it is easier to remove the casing this way. Fry the sausage slices in a frying pan over medium-high heat until lightly browned on both sides. To assemble this meal, place the cooked sausage pieces in a large resealable freezer bag. Add the sliced peppers, onion, minced garlic, cajun seasoning, and the can of diced tomatoes. 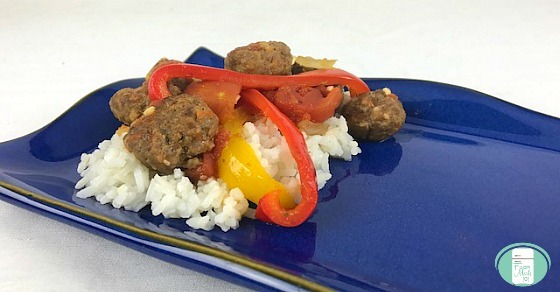 On the day of cooking, thaw the sausage and peppers freezer meal. Cook in a skillet over medium-high heat until heated through. Serve over rice or in a wrap. You can use mild or spicy sausage depending on your family's preference. 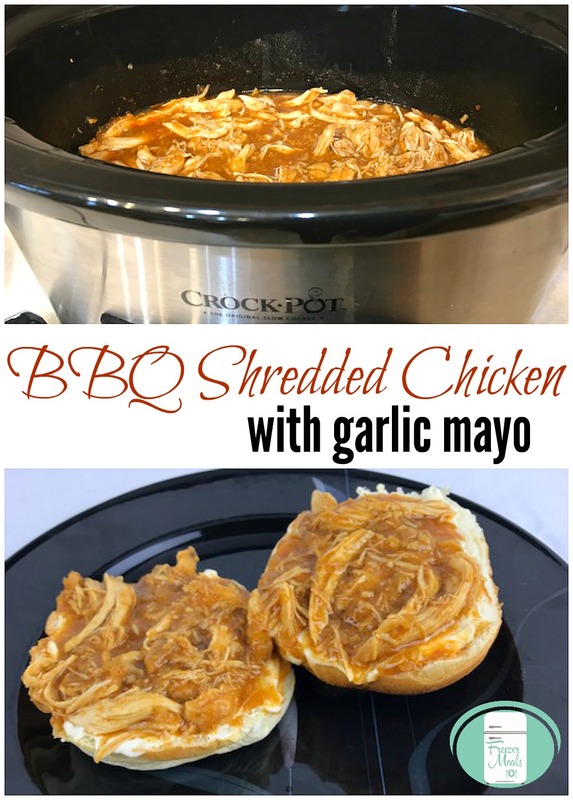 This BBQ Shredded Chicken Freezer Meal recipe has always been delicious, but when my friend Christie introduced me to serving it with garlic mayo, it levelled up to droolworthy status! Seriously, this tastes amazing. Admittedly, it is messy to eat, but you won’t mind having drips of garlic mayo mixed with BBQ sauce and minced onions running down your wrists because it is so worth it! To put this freezer meal together, place the chicken, minced onion, minced garlic, barbeque sauce, and apple cider vinegar in a large resealable bag. Remove excess air and seal. On the day you want to serve this, take it out of the freezer and allow it to thaw. Cook it in the crock pot on low for 3-5 hours. Shred when done and serve in on buns on top of garlic mayo. You can also serve this shredded BBQ chicken on nachos or in tacos. I’ve brought this with us camping, had it on a lazy Sunday afternoon and served it to company. You just really can’t go wrong when something tastes this good. Admittedly, it is messy to eat, but you won't mind having drips of garlic mayo mixed with BBQ sauce and minced onions running down your wrists because it is so worth it! Place the chicken, minced onion, minced garlic, barbeque sauce, and apple cider vinegar in a large resealable bag. Remove excess air and seal. On the day you want to serve this, take it out of the freezer and allow it to thaw. Cook it in the crock pot on low for 3-5 hours. Serve in on buns on top of garlic mayo. You can also serve this shredded BBQ chicken on nachos or in tacos. 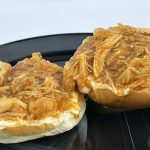 Mix together all the ingredients and serve on buns before topping with the shredded BBQ chicken. 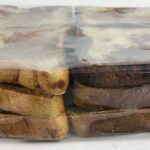 If there’s any leftover, you can store it in the fridge in an airtight container. We never have any leftover though because it is lick-the-bowl good (or so I’ve heard)! 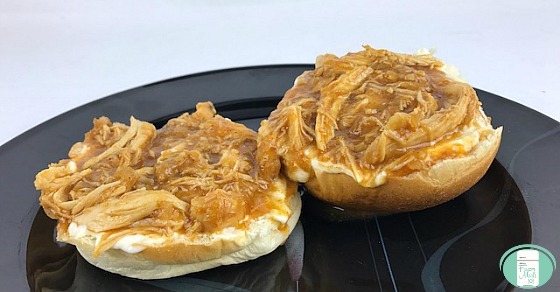 Serve on buns before topping with the shredded BBQ chicken. If there's any leftover, you can store it in the fridge in an airtight container. 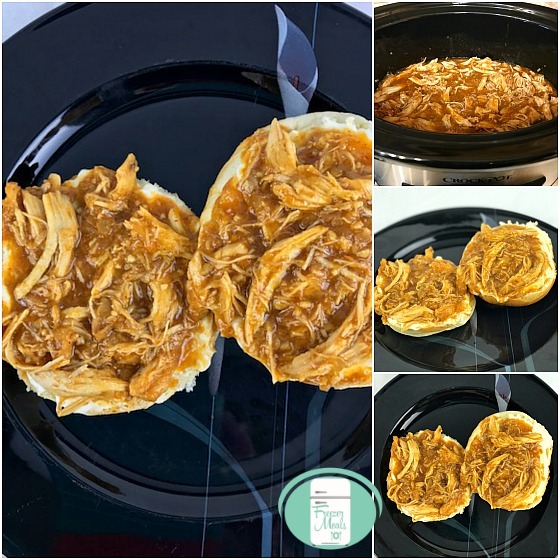 This droolworthy BBQ Shredded Chicken recipe is included in the More Family Favourites Freezer Meal Plan along with other family friendly recipes, shopping lists and printable labels. Last Sunday, I was making my make ahead cinnamon freezer french toast and my husband commented about how good this new recipe was. I laughed and said that this was the same recipe I always use when I make french toast for the freezer. We soon discovered that he had never eaten a piece because in all the years of me making these, my kids eat them so quickly that my husband had never even gotten to try one! It was a bit funny, especially when one of our older sons came forward and “confessed” to being the culprit behind eating most of them. Sure enough, that same son ate most of a double batch of these ones in just a few days with a bit of help from his younger siblings! When you have a large family, delicious food like this doesn’t last long. Whisk together the milk, eggs, spices, vanilla, and orange zest. Heat a skillet or griddle to medium heat and grease with some olive oil. Dip each slice of bread in the egg mixture and cook on both sides until browned. Lay the cooked slices on a cookie sheet in a single layer. Place cookie sheet in freezer. By freezing them individually like this first, they won’t stick together in the bag and will be easy to remove one at a time. Once frozen, place slices in a large resealable freezer bag. Remove excess air, seal and freeze. These make such an easy weekday breakfast. 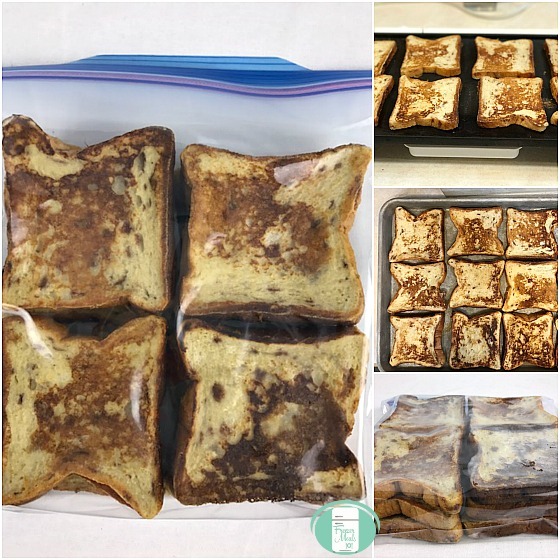 The french toast slices can be taken out one or two at a time and popped in the toaster or toaster oven. Top with syrup or fresh fruit. 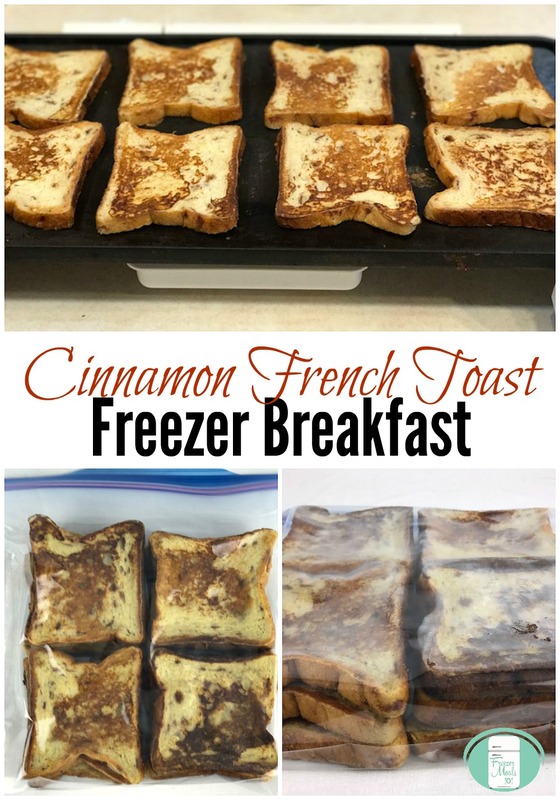 When I make this, I use cinnamon bread from a local bakery and double or quadruple the recipe so that I can fill many bags with french toast in the freezer for busy morning. My kids love these and eat them almost as quickly as I can make them! 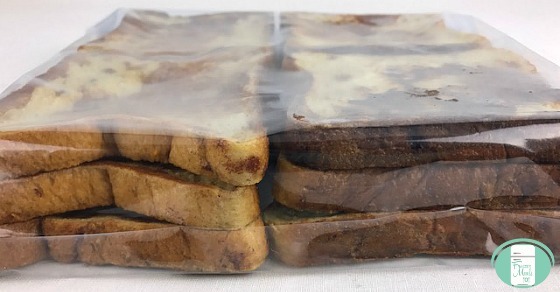 When I make this, I use cinnamon bread from a local bakery and double or quadruple the recipe so that I can fill many bags with french toast in the freezer for busy morning. Whisk together the milk, eggs, spices, vanilla, and orange zest. Heat a skillet or griddle to medium heat and grease with some olive oil. Dip each slice of bread in the egg mixture and cook on both sides until browned. Lay the cooked slices on a cookie sheet in a single layer. Place cookie sheet in freezer. By freezing them individually like this first, they won't stick together in the bag and will be easy to remove one at a time. Once frozen, place slices in a large resealable freezer bag. 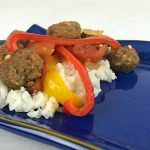 You can find this recipe along with other easy freezer breakfast ideas with printable shopping lists and labels in our Freezer Breakfast Meal Plan. Spaghetti is one of those no-fail meals in our house. All our kids like it. We like it. It’s hearty comfort food that is sure to please. That’s why I always keep the best ever freezer meal spaghetti sauce stocked at all times. 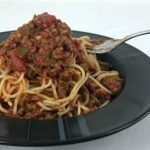 This recipe makes one to two bags of sauce, but I always double or triple it so that I can have a lot of these in the freezer for easy weekday meals. My neighbour Christie who makes freezer meals with me didn’t understand why I would want to make spaghetti sauce as a freezer meal. In her mind, spaghetti was easy enough to make by just opening a jar of store-bought sauce. That was before she tried this recipe! The first time that I insisted we add this to the freezer meals we were making, she went along with it only to appease me, but now, it’s on the list every single time because their family loves it as much as we do! Before assembling this freezer meal, brown the ground beef in a skillet until no longer pink, breaking into small pieces as it cooks. Chop the onion and green pepper. Mince the garlic. To assemble this freezer meal, mix all the ingredients together in a large bowl and pour into a large resealable freezer bag or put all the ingredients directly into the bag and then squish together. Remove the excess air, seal and freeze. On the day of cooking, take the bag of spaghetti sauce out of the freezer and thaw. Heat in a large pot on stovetop over medium until desired heat is achieved or cook in the crock pot on low for 2-4 hours. Serve over spaghetti noodles or gluten free noodles, cooked according to package directions. If you want to make this taste even better, top with crushed chili flakes and grated parmesan or asiago cheese. Yum! Before assembling this freezer meal, brown the ground beef in a skillet until no longer pink, breaking into small pieces as it cooks. Chop the onion and green pepper. Mince the garlic. To assemble this freezer meal, mix all the ingredients together in a large bowl and pour into a large resealable freezer bag or put all the ingredients directly into the bag and then squish together. Remove the excess air, seal and freeze. On the day of cooking, take the bag of spaghetti sauce out of the freezer and thaw. Heat in a large pot on stovetop over medium until desired heat is achieved or cook in the crock pot on low for 2-4 hours. Serve over spaghetti noodles or gluten free noodles, cooked according to package directions. This recipe is included in our Family Favourites Freezer Meal plan which also includes printable shopping lists and labels along with other delicious recipes.